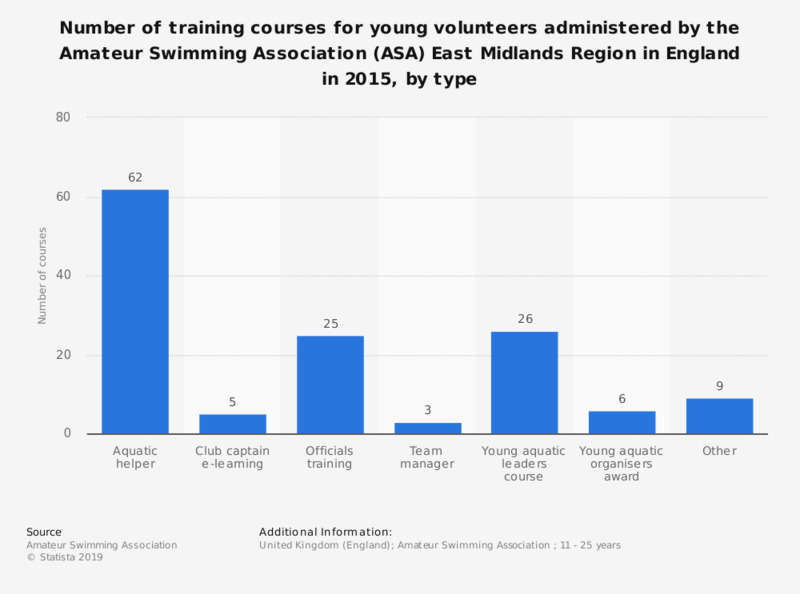 This statistic displays the number of training courses for young volunteers administered by the Amateur Swimming Association (ASA) in the East Midlands Region in England in 2015, by type. In 2015, the ASA East Midlands Region provided 26 young aquatic leaders courses. How would you prefer to learn about volunteer opportunities? What specific type of volunteer activities do you prefer?